Apple appears to be setting up the final pieces for OS X Lion's launch this week. A previous report even pinpointed the release as early as Wednesday morning. We've now been able to confirm that Apple Retail stores have begun receiving final copies of OS X Lion today. The installations have come on hard drive and are meant for the Apple Retail demo computers on the store floor. This, of course, doesn't guarantee a specific launch date, but brings Apple one step closer to launch. 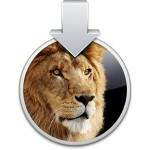 Apple has said that OS X Lion will be launching in July but has not publicly committed to a launch date. Apple seeded the Golden Master version of OS X Lion to developers on July 1st. The Golden Master version is typically the final shipping version of the operating system. Apple is also widely expected to refresh the MacBook Air and Mac Mini computers around the same time as Lion's launch. So soon we will be able to replace all the "where is Lion" threads with "Lion bugs" threads! Yeah, I am awaiting the general comments of "Lion is the worst OS ever! Why did Apple remove the ____ feature? <Insert additional snarky comment about being able to write better software despite not being an engineer.> Lion is clear proof Apple only cares about the iPhones. These hipster kids and their iOS devices. When I was a nerd back in the 80's, Apple was a rebel company who cared about their users. Now they sold out and are like Microsoft." Isn't this tantamount to admitting that the Icloud and the Apple Application Store is a failure? Why would Apple insist that customers download 10.7 from the network, but send physical copies to their own stores? The mind boggles at the duplicity. I imagine that it's actually a disk image of Lion tailored for the retail experience, with a few iTunes tracks, pictures, videos and the concierge thing that all the demo Mac's get refreshed with every night. It'll be less effort for the tech guys in the Apple stores just to swap a drive in the store's server than to have to initiate, monitor and execute a download. Purely speculation on my behalf though, just adding my thoughts to your own. Seriously? Downloading Lion from the App Store and installing it on that machine is fine for the average user. The average user does not need to install an operating system on 20+ computers at once right before store opening. These are different situations entirely. Different situations require different means. This is in no way hypocrisy." As well as "why does my ppc application not work" threads. I'm going to miss the Mac operating system. There have been rough releases over the years, but all and all, it's been a good run. This final version of Snow Leopard turned out to be the best of them all. Apple sure went out with a bang on that one. I can see using it for the next year until applications no longer run on it. After that, I guess I'll figure out where to go from there. Not sure what's in store for the future, but so far... things are looking dismal for the ol' Macintosh. But I guess if you are into iToys like the iPhone, or iPad... then I suppose there's a lot to be looking forward to, so have fun with that. Jesus, what a bunch of ____ing drama queens. We've now been able to confirm that Apple Retail stores have begun receiving final copies of OS X Lion today. The installations have come on hard drive and are meant for the Apple Retail demo computers in the store floor. This, of course, doesn't guarantee a specific launch date, but brings Apple one step closer to launch. and the Apple Application Store is a failure? It's not tantamount to anything. The "cloud" is a failure if consumers can't download 10.7 from the Mac App Store. 10.7 is not yet on the Mac App Store. There is no duplicity. But as usual, there sure is a helluva lot of absurdity, and not from Apple. This is major hypocrisy!!! :mad::mad: Why don't they try their own servers and see how the whole on-line upgrade process goes without the fanboy distortion field?? The HD they receive has over 20GB of data on it, and multiple builds/installs (demo install, registers, family room/employee, etc), combined with Pro Apps and media. Doesn't make sense for every machine/terminal to download it. After Lion comes out I'm taking a good two weeks off from this place. The bashers, trolls and elitist whiners are going to be out in full force.